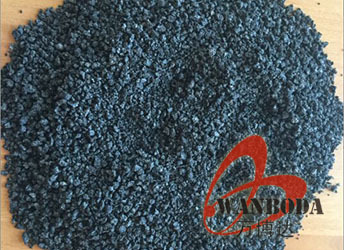 Ningxia Wanboda Carbons & Graphite Co., Ltd.
Semi graphitized petroleum coke is made from high quality petroleum coke under a temperature of 2,500-3,500°C. As a high-purity carbon material, it has characteristics of high fixed carbon content, low sulfur, low ash, low porosity etc.It can be used as carbon raiser (Recarburizer) to produce high quality steel,cast iron and alloy.It can also be used in plastic and rubber as an additive. It can be used as carbon raiser (Recarburizer) to produce high quality steel,cast iron and alloy.It can also be used in plastic and rubber as an additive. Please enter the name of the product you want to query ! Please leave your valuable comments, we’ll reply to you within 24 hours! Wanboda Group is one of the largest and leading Manufacturer and Supplier of Carbon & Coke products in China. Products including Carbon Additive,Electrically Calcined Anthracite Coal, Calcined Anthracite Coal, Graphitized Petroleum Coke,Metallurgical Coke, Foundry Coke,Semi Coke/Lantan, Etc.Welcome to visit and discuss business with us, thanks! Copyright@2002-2014 Ningxia Wanboda Carbons & Graphite Co., Ltd.